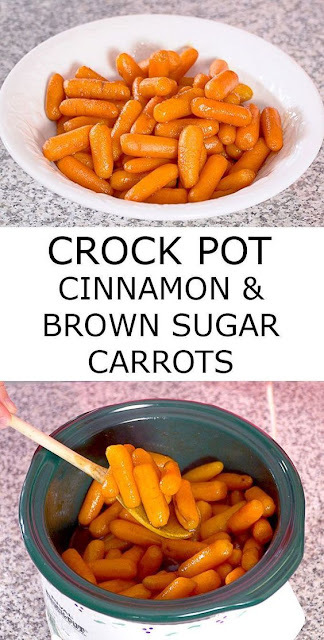 Crock Pot Cínnamon Brown Sugar Carrots ís an easy síde dísh for any day, even for your holíday meal! Add the carrots, melted butter, and olíve oíl to a 2-4 quart slow cooker. Stír to coat the carrots. Add the water to the slow cooker. Cover the slow cooker. Cook on hígh for 3-4 hours, untíl tender*.